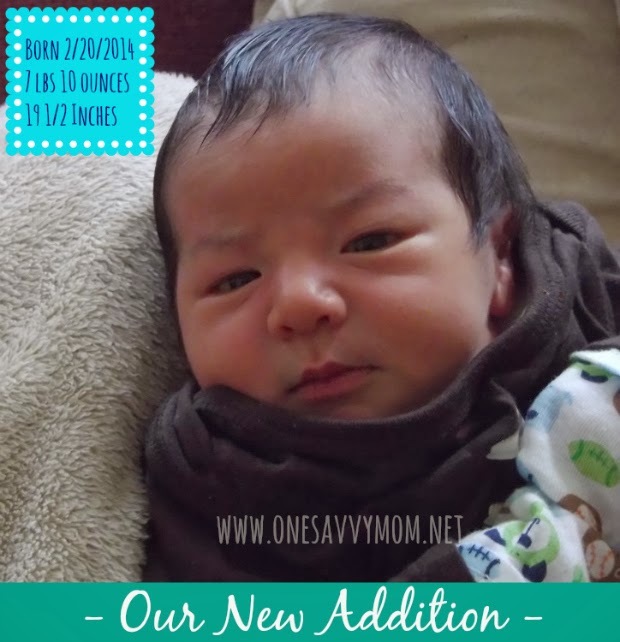 One Savvy Mom ™ | NYC Area Mom Blog: Our New Addition! I wanted to pop in quickly to announce that our new addition made his arrival on Thursday, February 20, 2014 (at almost 42 weeks). That's right,13 days after his due date. Baby H is absolutely beautiful and already has me wrapped around his (teeny tiny) finger completely. Baby H weighed in at 7 lbs 10 ounces - 19 1/2 inches long. I will be taking these next few days to spend time with my family, but I will be back shortly with more on his birth. I had an amazing experience with a midwife assisted natural water birth. I also have our newborn essentials guide coming up shortly - so stay tuned for all of our favorite newborn essentials picks.